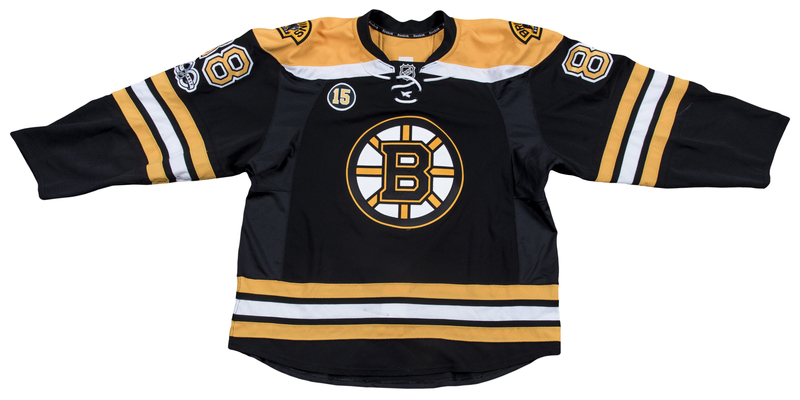 Boston Bruins right winger David Pastrnák wore this black Bruins home sweater during the 2016-17 NHL season. Pastrnák, then 20 years old, had a breakout season in 2016-17, scoring 34 goals with 36 assists to improve upon his previous season’s point total by 44 points. Now in his fifth NHL season, the speedy Czech winger has emerged as one of the young stars to watch in the National Hockey League. 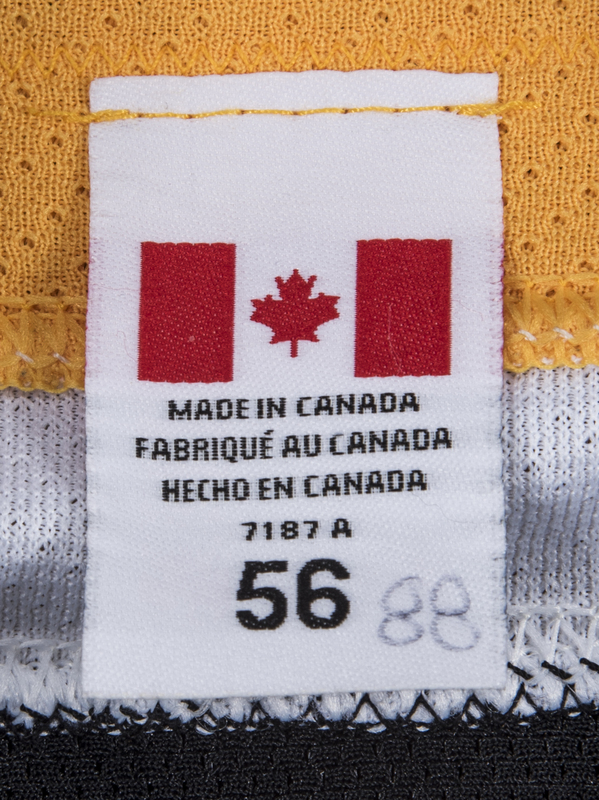 This sweater is black, with yellow and white accents. A Bruins logo, measuring 10 inches in diameter, is sewn on the chest below a “15” memorial patch for former Bruins star Milt Schmidt. 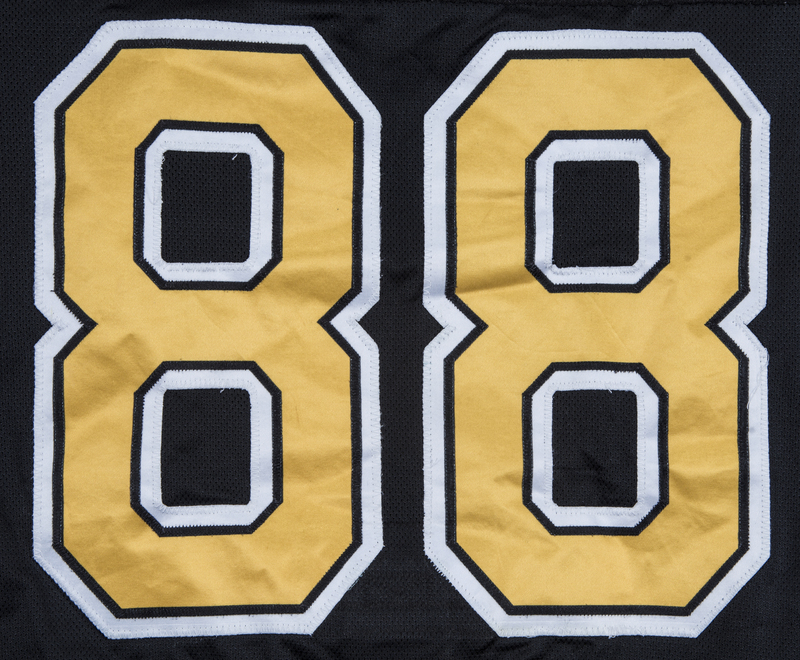 Pastrnák’s number “88” is sewn on the back and sleeves in yellow, black, and white tackle twill. 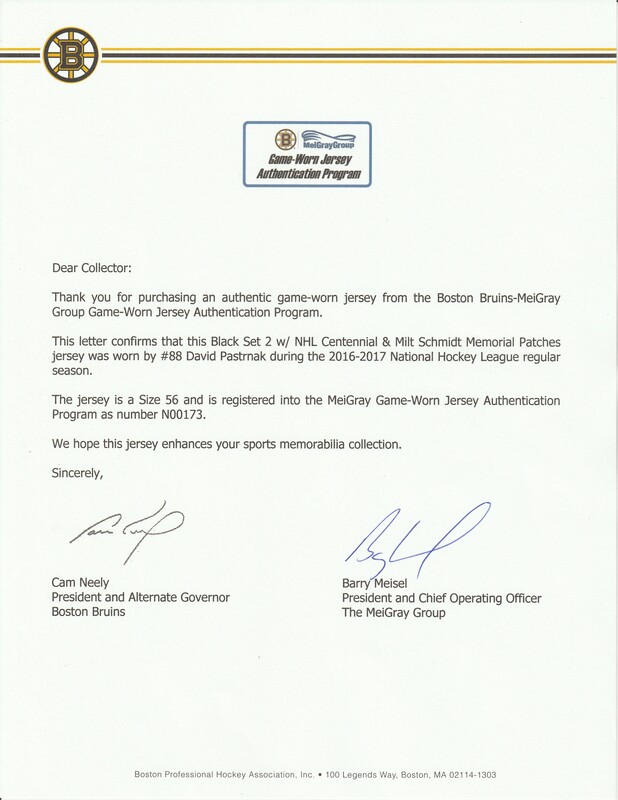 A NHL Centennial patch is sewn on the right sleeve, while Bruins logo patches are sewn on each shoulder. 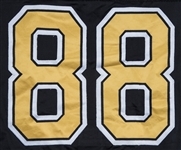 “PASTRNAK” is sewn across the back shoulders in yellow, black, and white tackle twill over a matching black nameplate. 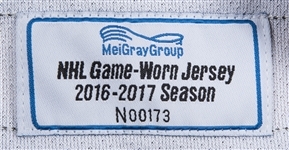 A yellow-white-yellow stripe accents the sleeves and tail of this jersey. A size “56” flag with “88” handwritten in black marker is sewn on the back inside collar. 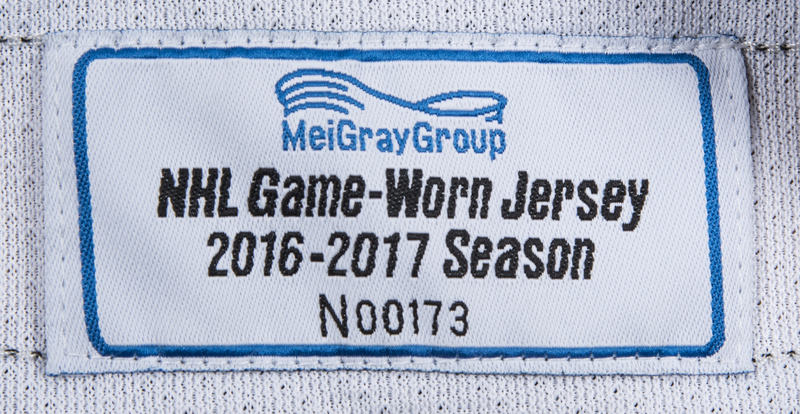 A MeiGray patch is sewn on the inside tail of this jersey, which is also accompanied by a LOA from the MeiGray Group (N00173).